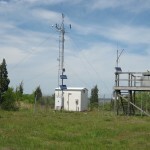 Data on air temperature, relative humidity, barometric pressure, wind speed and direction, photosynthetic active radiation, and precipitation are collected every 15 minutes at the weather station on Prudence Island . 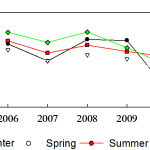 Analysis of the barometric pressure showed a significant decrease across years and seasons. 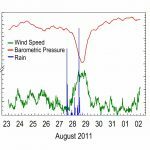 Tracking Hurricane Irene (2011) with data collected at the weather station. Since 2001, meteorological data has been collected as part of the SWMP at the weather station located on Prudence Island. 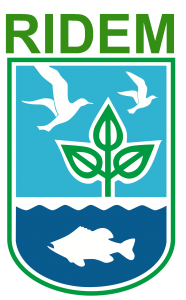 These data are continually used to complement many scientific research and monitoring efforts in Narragansett Bay, and to assist educational, training, and stewardship activities around the Bay.